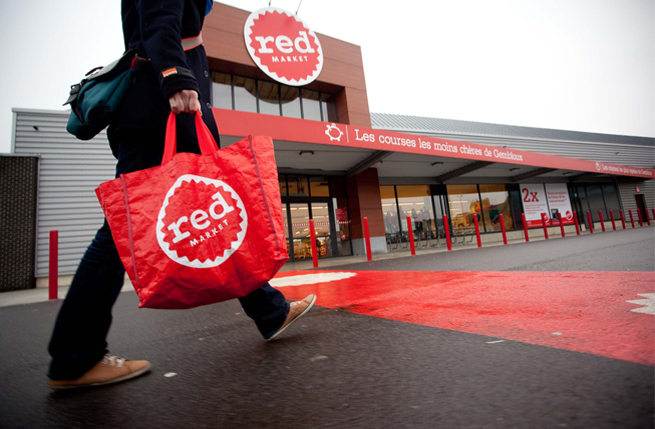 A new food store concept that makes shopping cheap, fast and smart. 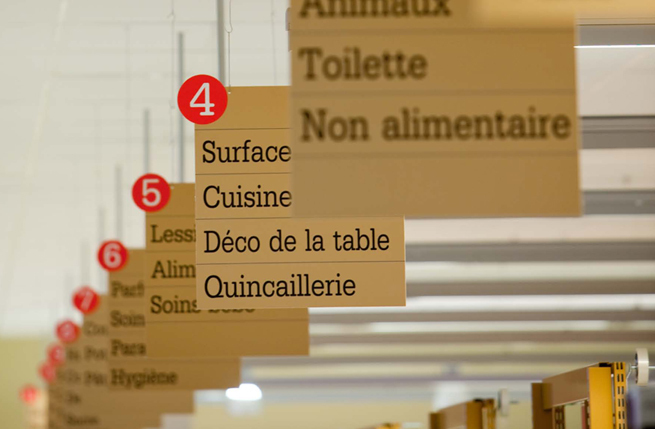 Interior retail graphics and wayfinding guides and assists the customer at every stage of the shopping journey. It’s always exciting to have the opportunity to lead a branding project from scratch. 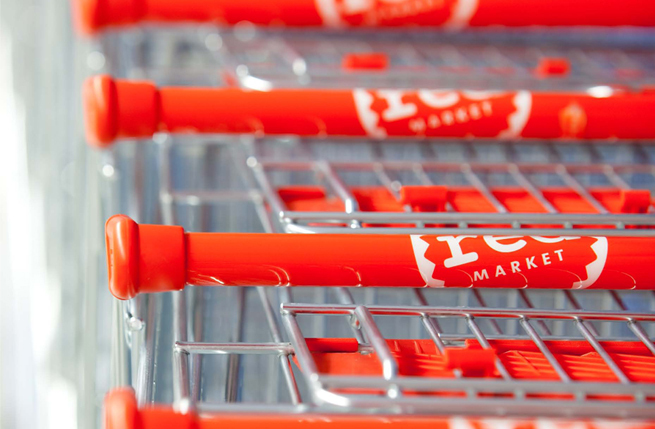 A new food store concept that makes shopping cheap, fast and smart. 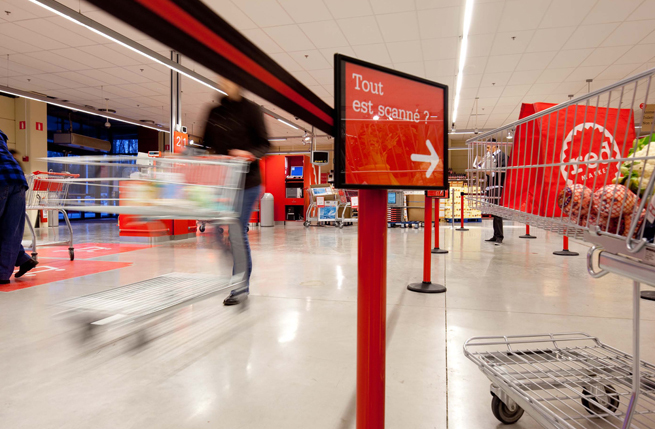 Interior retail graphics and wayfinding guides and assists the customer at every stage of the shopping journey and reinforces the brand’s promise that cheap can be synonymous with quality and efficiency. All you need is Red! All we need is a new name, a new identity and a new interior design. 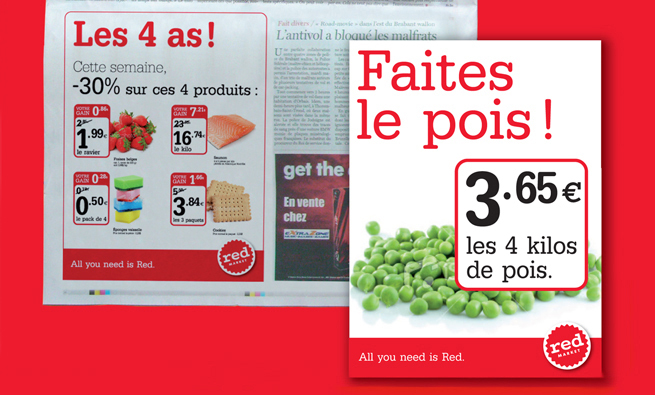 That was what Delhaize Group had in mind when they approached our Brussels Office, Minale Design Strategy. The concept to create a new kind of shopping experience based around the process of self scan and self check out was our starting point. What was required next was to create a brand that could communicate the brand’s proposition as well as a guide and assist its customers during the whole shopping journey. Clear signposting at every touchpoint was key in making sure the brand would start with flying colours… predominantly red. 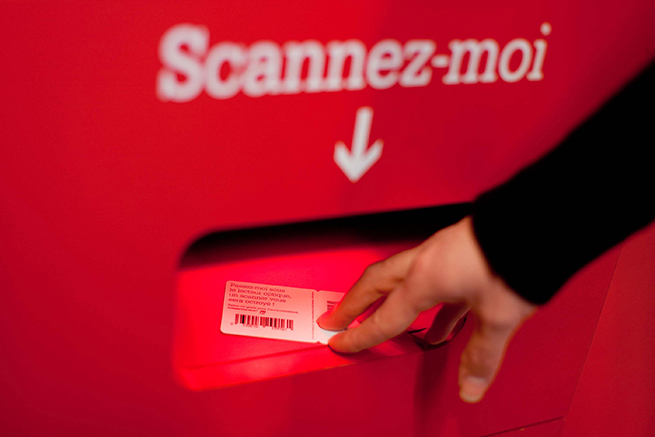 A key element of the customer loyalty concept was conceived around the self-scanning technology. Customer transparency and attentiveness are at the heart of Red Market’s offer and drive towards greater efficiency and optimal prices. 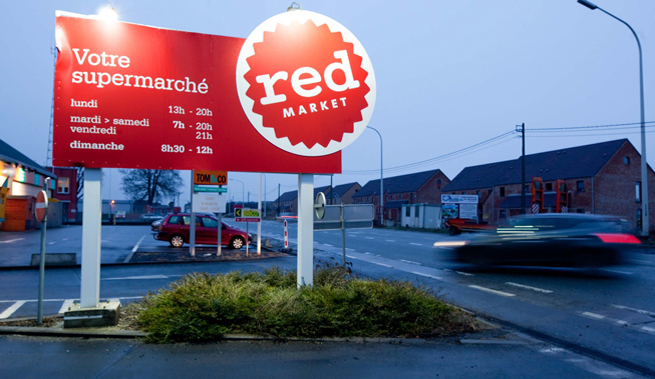 After a test launch in Gembloux in Belgium, the store design concept was deemed a success and resulted in Red Market expanding its operations with new outlets in Belgium and across Europe. The store concept was also awarded the Mercury Prize Comeos by the Belgian Trade Federation for its combination of innovative solutions that contribute towards a rewarding shopping experience.